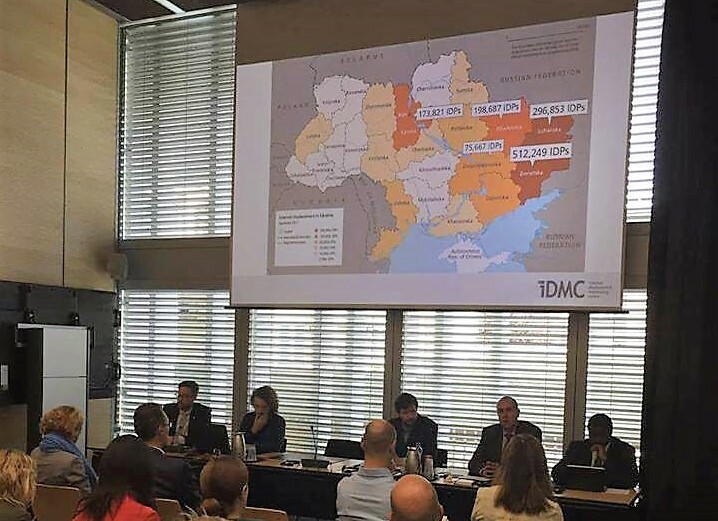 On September 19 in Geneva the UHHRU has taken part in the event “Three Years Later: How Well Protected Are the Rights of Ukraine’s Internally Displaced People?”. The event was organised by Norwegian Refugee Council. 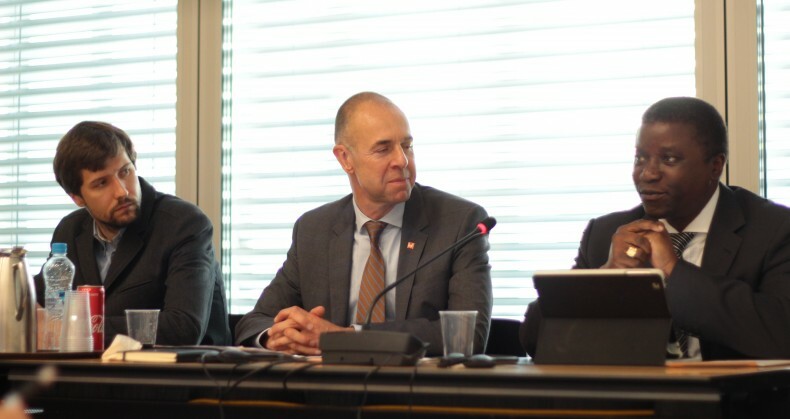 The event was moderated by James Munn, Director of NRC Geneva. 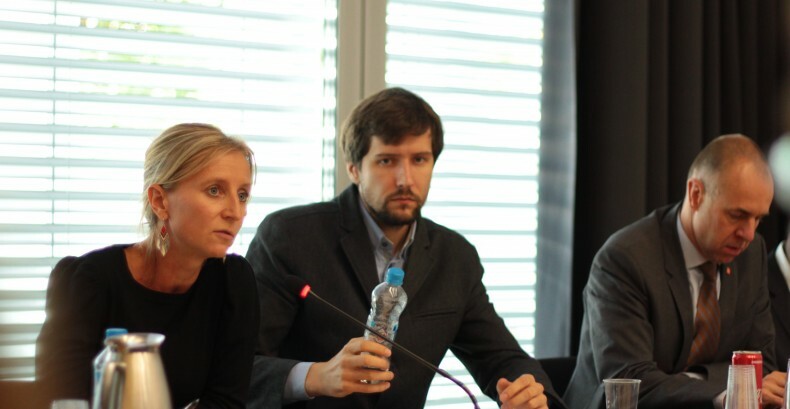 The panel of speakers included: Alexandra Bilak, Director, IDMC; Dr. Chaloka Beyani, Associate Professor of International Law at LSE, former UN Special Rapporteur on human rights of IDPs; Christopher Mehley, Director, NRC Ukraine; Mykhailo Tarakhkalo, Director of Startegic Litigation Center, Ukrainian Helsinki Human Rights Union. Mykhailo Tarakhkalo focused on the issues of the compensation for damaged and destroyed due to the hostilities property and provided the overview of the relevant court practice stressing that the government needs to urgently develop consistent procedure for the compensation. “During the armed conflict in Ukraine thousands of civilians in the Donetsk and Luhansk regions of Ukraine suffered serious harm. As a result of the hostilities many buildings were partially or totally destroyed. Citizens of Ukraine who lived on the territories affected by the conflict were thrown into a situation of uncertainty and left without any practical way of protecting their rights”,—started the Director of UHHRU Startegic Litigation Center. the lack of budgetary funds for provision of comensation. “One of the possible solutions to this problem is a creation of an administrative procedure for compensating damages along with a transparent and logical system of provision of funds”,—said Mykhailo Tarakhkalo. The event was attended by the representatives of the permanent missions (Bosnia PM, Denmark PM, EU PM, France PM, Georgia PM, Germany PM, Lithuania PM, Norway PM, Poland PM, Slovenia PM, Sweden PM, UK PM, Ukraine PM, US PM), international organisations UNHCR Europe Bureau, UNICEF, OHCHR, ICRC, IOM; NGOs Danish Refugee Council, NORCAP, Human Rights House. In total 36 people attended the event.